ISSP's draft Sustainability Body of Knowledge is ready for comment. Enough Is Enough to be discussed in virtual book club. Development Director - Stephan Levitsky, ASR Group Inc. I'm very much looking forward to working with this stellar team of sustainability professionals. First on the team's agenda will be a strategic planning session to determine our long and short term strategies. We'd love to have member input into that session and so invite you to complete the ISSP member survey by July 15. Click here to take the member survey. Later this summer, watch for more news about our plans for the coming year. With input from our conference participants, an invited group of seasoned sustainability professionals created the first draft of the sustainability "Body of Knowledge" which defines our profession. This work will form the basis of any future professional certification as well as inform training and education programs preparing professionals for our field all over the world. Because of the impact it is destined to have, we are eager that it be reviewed and vetted by as many professionals as possible. ISSP is making this document available to its members as well as distributing it to targeted organizations and individuals around the world for review. If you would like to review and possibly comment on this important work, visit the ISSP web site and follow the instructions provided there. We are hoping to synthesize the feedback later this summer, so please submit your comments by July 31. Each month ISSP offers a free, member orientation session fornew, renewing and prospective members. We've recently added these sessions to our event list and scheduled them out for the rest of the year. We'd love to have you all attend one and learn to be a "power user" of our website - accessing materials, contributing resources, searching for other members, starting discussion forums. These orientations, offered via our webinar platform, also give you a chance to meet other members. Come join us for one! Want to learn more about the economic system of the future and discuss the key issues? 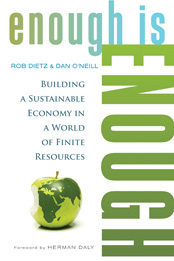 Join ISSP members, book authors, and others from around the world on-line as we read and discuss the book, Enough is Enough, Building A Sustainable Economy In A World of Finite Resources, by Rob Dietz and Dan O'Neill. The book explores how to move from our current "required" growth economic model to a steady state economy. 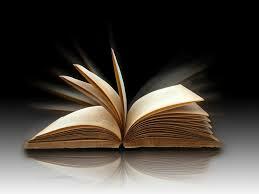 The group will read one to three chapters a week over a 10 week period from July 8 to September 15. You can start your own local face-to-face group that can then weigh into the larger on-line group discussion forum with resources that and guidelines that ISSP will provide. Each week a new on-line forum question will start the discussion and sharing of ideas. As an extra special treat authors, two one-hour webinars have been scheduled to discuss the book with the authors, Rob Dietz and Dan O'Neill. The dates are WednesdayJuly 24 at 5pm Pacific-US and Wednesday September 11 at 1pm Pacific-US. (To convert to your time zone, click here: Time Zone Converter). The two webinars meet online at the ISSP Webinar platform. The book group is free for ISSP members and $25 for non-ISSP members. Price does not include the book. To join, link to the registration page below. All registered participants will have access to the ISSP Learning Resource Center where we will host the private book club. Participants will introduce themselves to the group with an on-line profiles; the platform will host the forum for questions and a collection of additional resources. If you are interested in joining the group register here. • How can sustainability transform a brand's image and boost business? • What if companies are not actively pursuing sustainability practices? James will discuss the consequences of inaction. It's clear that this research is opening new doors and broadening our definition of sustainability. He will report on how this research effort came about and the impetus behind making this report an annual publication. Now in its second year, Brandlogic's Sustainability Leadership Report is championing a new research effort, looking at top global brands and examining how those businesses are faring in terms of real versus perceived sustainability. This project, which involves input from investment professionals, purchasing managers and graduating university students, looks at corporate performance from an environmental, social and governance angle. The results of this year's report are uniquely tabulated in a Sustainability IQ matrix, which is quickly becoming a meaningful framework for organizations as they strive to achieve sustainability leadership. James Cerruti is Senior Partner of Strategy and Research - Brandlogic. His expertise lies in explaining how sustainability is integral to business strategy, brand and customer value propositions. He is the author behind the Sustainability Leadership Report and his inspiring ideas are supported by meaningful qualitative and comparative data that analyze the world's top global brands. To download the latest Sustainability Leadership Report, visit: http://www.sustainabilityleadershipreport.com/. Sponsoring an issue of the ISSP Insight e-newsletter is a great way to be seen by thousands of sustainability professionals worldwide. It's also a terrific way to show your support of ISSP, just as Chatham University has done by sponsoring this issue. Thank you to Chatham University and everyone involved with their Executive Master In Sustainable Leadership program! For more information about the benefits of ISSP Insight e-newsletter sponsorship, visit http://bit.ly/10EF596. Members, Send Us Your News !!! Have you or your organization done something interesting lately? Did you recently publish an article, win an award or make a presentation to a large group? Let us know what you've been up to so we may share it with your fellow members here in our newsletter. Send your news items to info@sustainabilityprofessionals.org with the phrase Newsletter Item in the subject line. Seeking to achieve improved sustainability performance for your events? Learn how to articulate the right questions and make the informed decisions before you design and deliver sustainability management strategies. Over 500 event professionals have taken this course face-to-face. Now it is offered as an online ISSP workshop taught by an experienced sector specialist/instructor from GreenShoot Pacific. The Sustainable Event Training workshop is delivered online via ISSP's dynamic, interactive eLearning experience: meeting online once a week for 5 weeks for a live webinar plus interacting 24/7 at the ISSP Learning Resource Center. Gain an in-depth understanding of sustainable development principles and how to put them into practical action in event planning and delivery. Meegan will cover these topics: Sustainable development principles; Identifying sustainability issues; Destination, Venue & Accommodation; Biodiversity, Community, Society; Sustainable sourcing/procurement; Implementing ISO 20121; GRI Event Organizer's Supplement; Legacy & Leadership; Managing transport impacts; Waste reduction/resource recovery; Water supply and management; Energy management; Reducing GHG emissions; Produce a sustainability policy; and more HERE. Meegan Jones is an event professional (20 years) who provides sustainable solutions for live events and productions. She is Director of GreenShoot Pacific (GSP), training and consulting on sustainability for the events, screen and music touring industries. Meegan is author of Sustainable Event Management: A Practical Guide, published by Earthscan/Stylus in 2012. She was recently on the working group for the Global Reporting Initiative (GRI) events organizer sector supplement and is also on the international working group for the development of ISO 20121 Events Sustainability Management Systems. Meegan is President of the Sustainable Event Alliance, an industry body working towards increased sustainability performance in the event industry. Are you well-versed on all the essential sustainability concepts? To be a credible sustainability professional, there are certain key concepts you should know. Use this self-study workshop to test your knowledge and fill in any gaps. The course has four modules (read more HERE). The prerecorded webinars are taught by ISSP co-founder and sustainability consultant/author, Darcy Hitchcock. Dates: Open Enrollment. Register at any time. Take up to 8 weeks to complete. See details about these events on the Other Sustainability Events page of the ISSP Website.